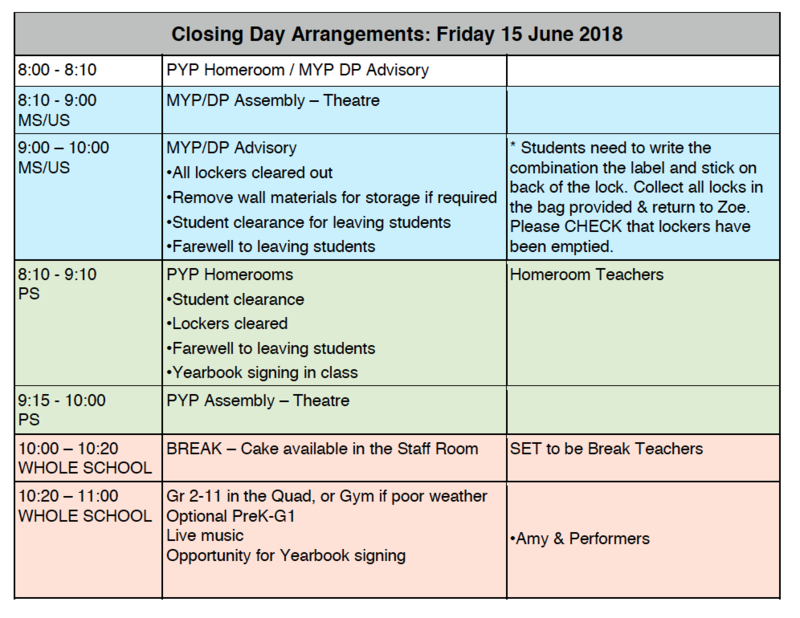 Good morning – see schedule below. Enjoy the morning, and have a wonderful summer break! Please see SET minutes from June 8. 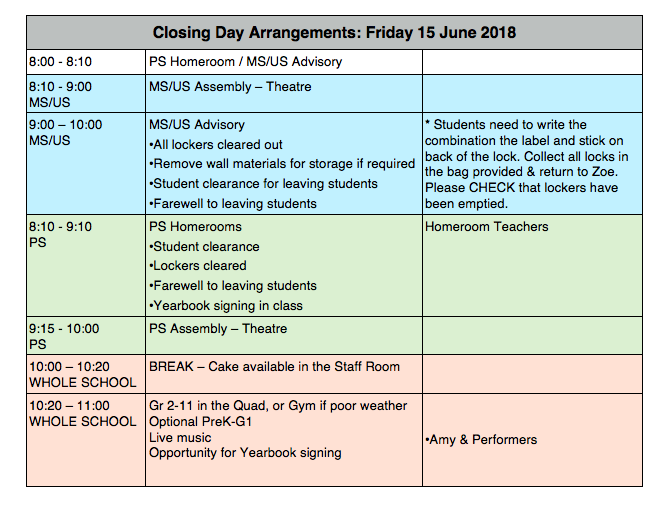 Please see schedule below for Friday, June 15. Please see attached SET minutes. The End of Year Reflection form is in the Staff Folder, under “Handbooks Procedures”, in the Professional Growth Programme folder. Click here for access. You will need to log in as you do for all Office 365 documents. Please send the completed reflection (Appendix 3 or 3a) by June 11. Please see the attached action plan that was developed on the self-study reflections and the recommendations by CIS/NEASC/NCCT and the IB. If you have any questions, please see me or the relevant member of SET or SLT. As soon as students check in to Advisory at 8:00, please go to the relevant locations. Please see attached presentation regarding the Professional Growth Programme and End of Year Reflections. You will see the activity/ies that you have signed up for in your Veracross Portal. Make sure that you make your way directly to the location of the activity after Advisory. The supervisor will take attendance. You may not make any changes without prior permission. 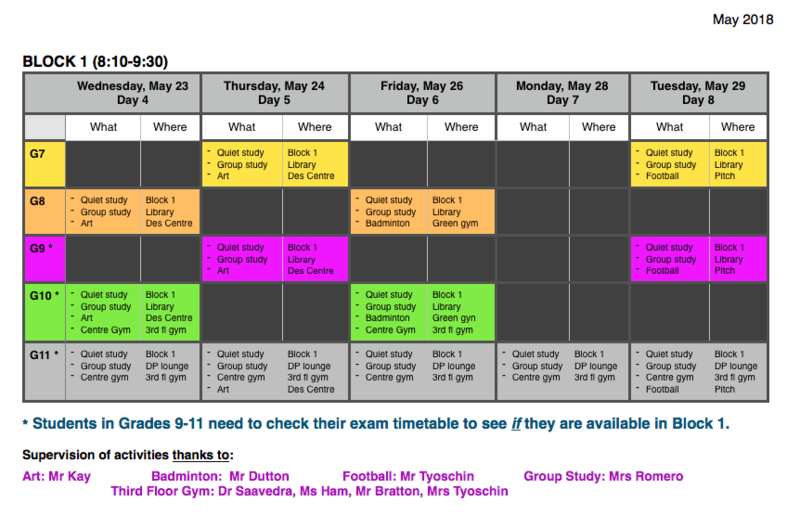 If you have not signed up for an activity, you must be in your Block 1 lesson for quiet study. Block 2: you need to be in your scheduled Block 2 lesson for either quiet study or a normal lesson, as indicated on the exam schedule. There are no activities during Block 2. If you are a Homeroom/Advisory teacher for Grades 3-10, please remember to pick up MAP and ISA results from your pigeon hole this morning and send home with your students. An email message was sent to parents yesterday. Good morning, Students in Grades 7-11! Pre-exam activities are open for sign-up now and will close Thursday at 4:15. Make a balanced study plan! A reminder that SET seeks your feedback. The survey will close at 4:15 on Tuesday, May 15. Thank you! 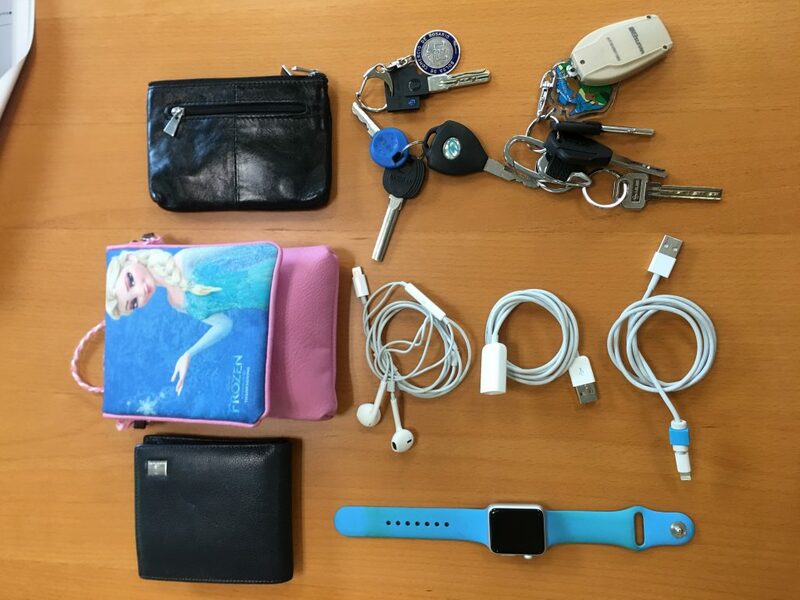 Do any of these items belong to you? If so – please come to Mrs Tyoschin’s office today. You can now browse Block 1 Pre-Exam Activities on your Veracross portal. Sign-ups start Monday at 7:00am. Sign-ups close Thursday at 4:30pm. If you do not sign-up for an activity, you must go to your Block 1 class where you will be able to engage in quiet study. If we have low sign-ups for pre-exam activities, these activities will be discontinued next year. As part of SET’s Professional Growth Programme, we seek your feedback by means of a short survey or as part of a focus group. Please choose your preferred medium for providing feedback.